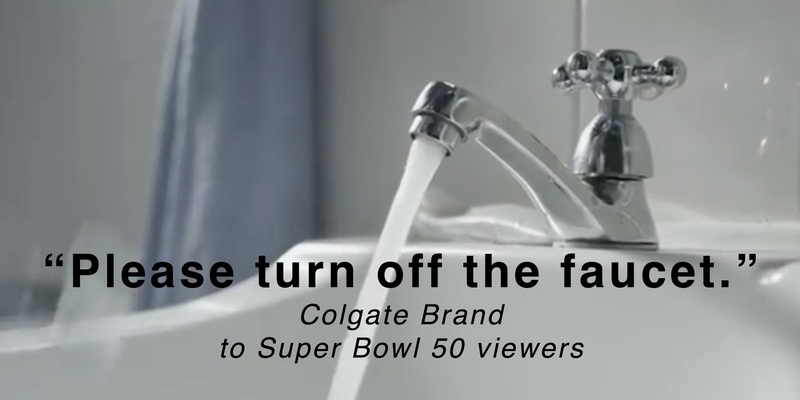 For the first time, Colgate will air a 30-second video “Save Water.” during Super Bowl 50 encouraging viewers to turn off the faucet while brushing their teeth. On average, people who leave the water running while brushing their teeth waste up to four gallons of water. In light of global water shortages, “Save Water” serves as a reminder that #EveryDropCounts and sets Colgate up to win brand loyalty by choosing a cause-focused message for their first Super Bowl appearance.